On the movie's 35th Anniversary, Dan Aykroyd shares his favorite memories. 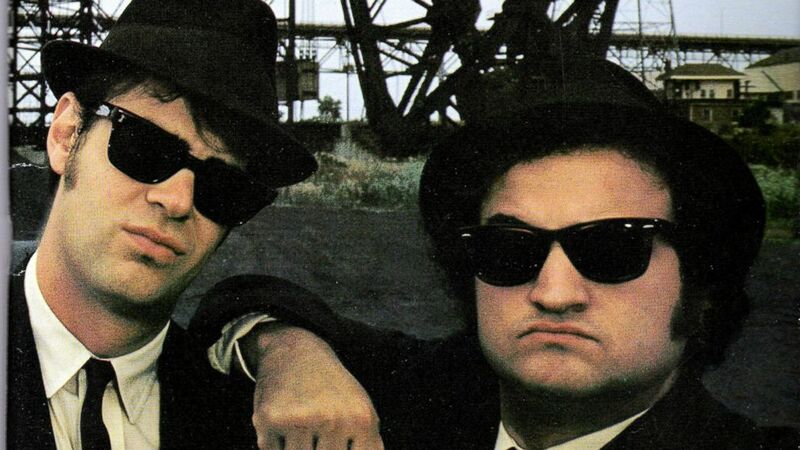 camera (Redferns/Getty Images) Dan Aykroyd, left, and John Belushi as "The Blues Brothers." "The Blues Brothers" is a timeless classic that still holds up more than three and a half decades after the film hit theaters in June 1980, to the delight of Dan Aykroyd. Aykroyd admits he's not the type of acting legend who craves celebration or needs his iconic work to be recognized in front of a live audience. But the actor, 62, who's starred in too many hit movies to count, will host a screening of "The Blues Brothers" for the film's 35th anniversary at the St. Lawrence International Film Festival in late October. Aykroyd will introduce the film and host a Q&A session at the Canadian Museum of History because he believes in the cause the screening will benefit -- the Royal Canadian Mounted Police Foundation. "This will be the only one I actually show up to and answer questions about the movie, because the RCMP Foundation, no other reason," he told ABC News. "My maternal grandfather was a Royal Canadian Mounted staff sergeant, that's why I love the Mounties." Aykroyd spoke to ABC News about the special screening and his favorite memories of "The Blue Brothers." 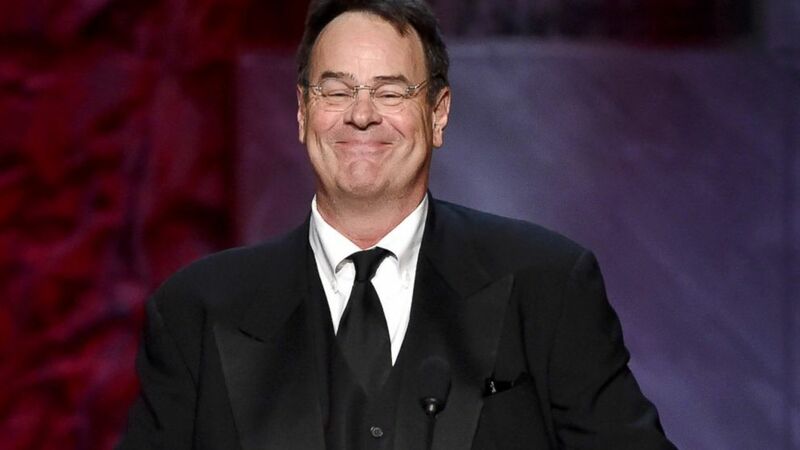 (Kevin Winter/Getty Images) Dan Aykroyd speaks onstage during the 2015 AFI Life Achievement Award Gala Tribute Honoring Steve Martin at the Dolby Theatre, June 4, 2015, in Hollywood, Calif.
"We could never foresee this," he said of the film's longevity. "We just wanted to make the best film we could, have some fun and work with some people we revered -- Ray Charles, Aretha Franklin, James Brown, Cab Calloway, just to get those performances in film that was a real triumph." But getting the picture made was the biggest triumph, he said. "The real victory was getting Universal to green light the movie and actually getting it made and released," he said. "We all sighed and relaxed after that was done." At the time, the film was over budget. "At that point, there was talk of 'We're not going to make it for this money.' But we ended up making it for $28 million, which today is a bargain," he said. "They couldn't make that movie today for $200 million, to do all those stunts, get all those cars, all those extras, the music rights. "Universal for $28 million has a movie that's probably made them at least $500 million over time." Franklin played Mrs. Murphy, a waitress, and when she first saw her costume, she wasn't too thrilled. "Aretha told [John] Landis [the director], 'I don't know about this waitress costume. It's not going to be so flattering,'" Aykroyd said. The costume director raced to make sure the R&B queen was happy. "They took that thing in and just the curves were hugged, Aretha's magnificent upper carriage was beautifully displayed," he said. "It was very flattering, the way the costume was done." Also, Ray Charles coached Dan and John through some very special music scenes and recording sessions. Doing his best Ray Charles impression, Aykroyd said Charles would say, "'No, no no that's wrong, you're off this .. hold the take, hold the take ... good, good, good' He coached us through and really got the best vocal performance out of us. He directed us in the thing and produced the track for God's sake." One big scene that was cut showed where Aykroyd's character worked -- a factory. "It's the only scene where Elwood ... takes off his glasses, he has safety glasses on in the factory," he said. "It was the only time you see his eyes. I remember, John Landis' mother was working in that scene on the line as an extra ... It was a shaving cream factory and I play this little joke where I eat the shaving cream in front of her." Aykroyd and the late, great John Belushi would drive around "day and night...just talking about everything from literature to theater, and what we were going to do in the future. Talking about the plans we were going to make and the next movie we were going to make." "Mostly, we were thinking about what time we could get over to the Blues Bar and started jamming," he said. "It was an old wooden house and it was called the Sneak Joint, and we had a jukebox and a bar and that was our first Blues Bar together. Mostly that's what we talked about ... when do we get back there and hang out." 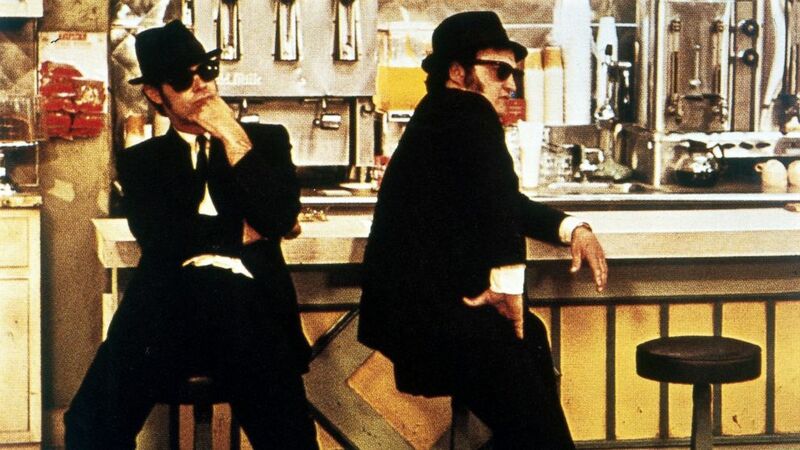 (Ullstein Bild/Getty Images) Dan Aykroyd, left, and John Belushi in a scene from the movie, "The Blues Brothers." Most everything in the movie was scripted, Aykroyd said. "Landis is a director who works from the script. It was very well written, there was not much improvisation. We pretty much kept to the script because of the rigidness of the Elwood character, the rigidness of the relationship." But there was one scene he remembers was not in the script and it opens the movie - "John throwing the cigarette lighter out the window. I can remember that was not scripted ... one of the things he made up right there," he said. Aykroyd said that he held onto a marked Illinois State Police car. "I drove it around Manhattan for three years with it fully marked, the lights, sirens, everything," Aykroyd recalled. "That was my car, I would go on dates in that car. I went out on a date with a Broadway actress Betty Buckley. I asked her on a date and picked her up in that car." And true to form "Nobody batted an eye [in New York]," he said. "[They would think] 'There's the Illinois state police, guess they dropped off a prisoner or something,'" he said. "I was never stopped, it sat outside in a parking lot for years. No plates except municipal government, fake plates that we had on the prop cars."